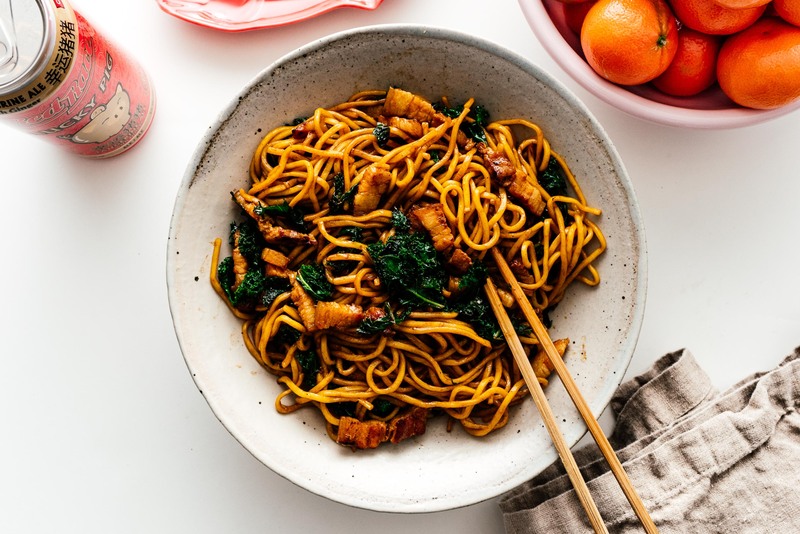 These pork belly and kale noodles hit all the right notes: sweet and savory noodles, smoky crisp pork belly, and kale for health. Happy year of the pig! Are you guys celebrating? We’ve been eating like crazy, especially all the lucky foods. 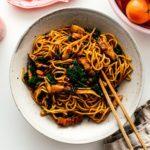 I whipped up these quick pork belly and kale noodles so that we’ll be super lucky with long life. LOL. In a bowl, mix the pork belly with the corn starch, shaoxing, light soy sauce, and sugar. In a separate bowl, mix together the chicken stock, soy sauce, hoisin sauce, dark soy, and sesame oil. Set aside. Cook the noodles according to the package and drain. 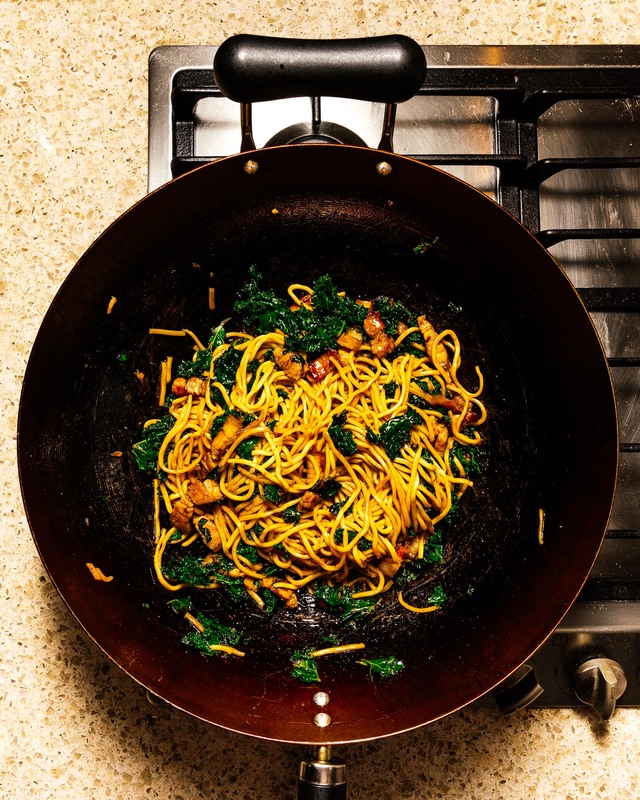 Heat up a wok or sauté pan over medium high heat then add the oil. When hot and shimmery, add the pork and cook, stirring occasionally, until cooked through and crispy. Add the kale and cook until wilted. Add the noodles and sauce and toss everything together until the noodles are coated. Taste and adjust the seasoning if needed.